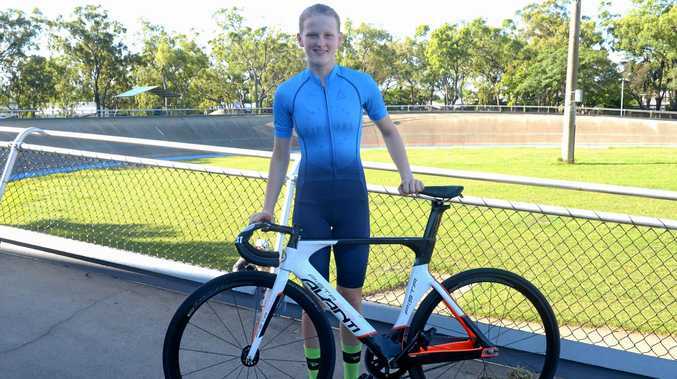 CYCLING: Teen sensation Deneaka Blinco is riding high after scooping the pool at the 2018 Cycling Queensland awards. 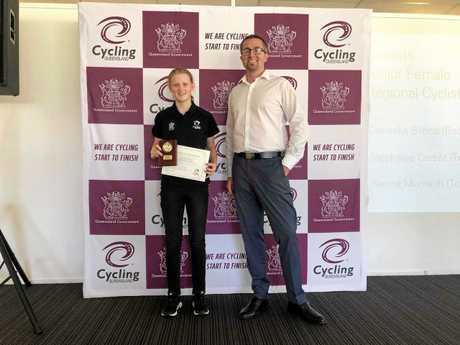 The 15-year-old won the coveted Junior Regional Cyclist of the Year as well as Under-17 Track Cyclist of the Year, and was runner up in Under-17 Road Cyclist of the Year. It was Blinco's best result at the state awards, the culmination of 12 months of hard work and impressive race results. It started with her seven-medal haul as a 13-year-old in the under-17 division at the 2018 State Junior and Masters Track Championships. Her stellar season also included victory in the elite women's feature race at the Bundaberg International Cycling Spectacular and a gold and two silver at the state road titles. Blinco was thrilled with the results but genuinely surprised to take the top gong of Junior Regional Cyclist, given the calibre of her competition. "I went to the awards thinking if I win, I win and if I don't, I don't - but it was very nice to win,” she said. Blinco was quick to acknowledge her coach, Ken "Reggie” Tucker, who had been instrumental in her success. She has a busy couple of months ahead leading into the national track championships at the Anna Meares Velodrome in late March. "I'll be doing some intense training but I really enjoy it,” she said.